When a homeowner or business owner has multiple vehicles, a storage solution – one keeping all investments dry and ready for use – must be all-encompassing and long-lasting. Get such qualities from our 24-foot wide metal carports. 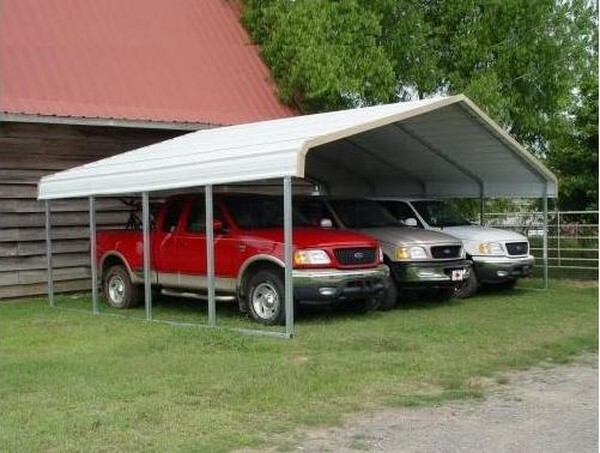 Designed to shelter at least two vehicles if not more, each provides excellent strength through a heavy-duty galvanized steel frame and a 29-gauge steel roof. While the steel’s natural properties block out UV rays and water, each structure goes even farther, resisting rot, fire, rust, and termites. For strength and efficiency, our 24-foot wide metal carports are the paradigm. In addition to the right level of coverage, choose from several height and length options in our store.